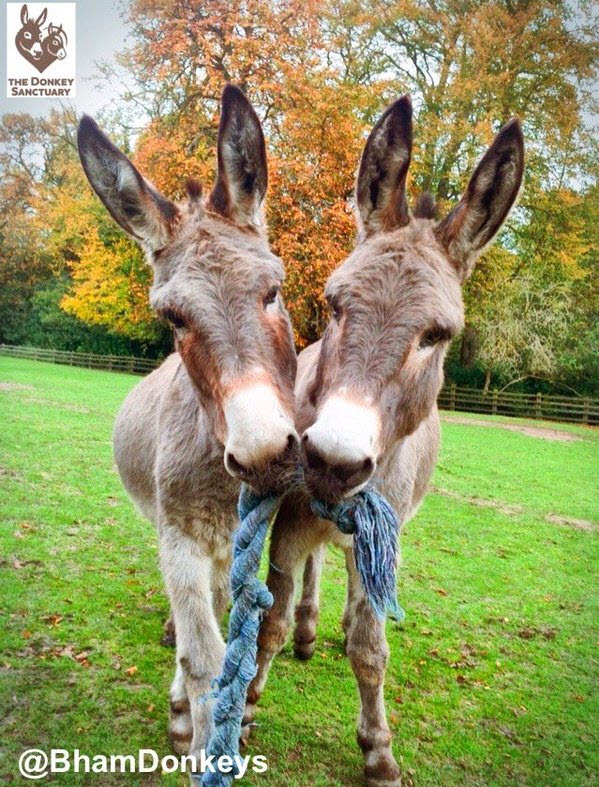 Make a tug-of-war toy for your donkeys! Get a large dog rope toy that is a good size for your donkeys, or cut a sturdy rope to be a couple feet long and knot the rope at either end. Toss the rope in a corral for your donkeys to play with together or tie the rope on a sturdy fence or stall rail for them to tug on their own.